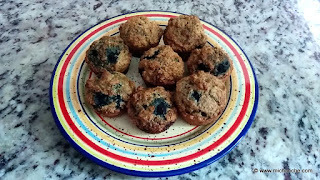 Delicious Blueberry Muffins go great with a cup of coffee for breakfast or a snack. This recipe turned out to be a happy accident today. I failed at my attempt to follow a recipe I found online. The original recipe called for twice the amount of sourdough starter. I used coconut oil instead of vegetable oil, and I think it adds a depth of flavor. So, now when you've run out of friends to share your sourdough starter with, and you're wondering what you can do with your excess, make a quick bread! Mix all the dry ingredients in small bowl with a fork. Mix all the wet ingredients in medium bowl until well incorporated. Gradually add the dry ingredients to the wet ingredients and blend. Fold in the blueberries and let the batter rest for a 3-5 minutes. The baking soda will interact with the acid in the sourdough starter and give a nice rise to the muffins. Prepare the muffin pan by oiling the cups and dusting them with flour. You can also spray your muffin cups with Baker's Joy or other product with oil and flour in it, Spoon the batter into the muffin cups. The cups should be about 3/4's full. 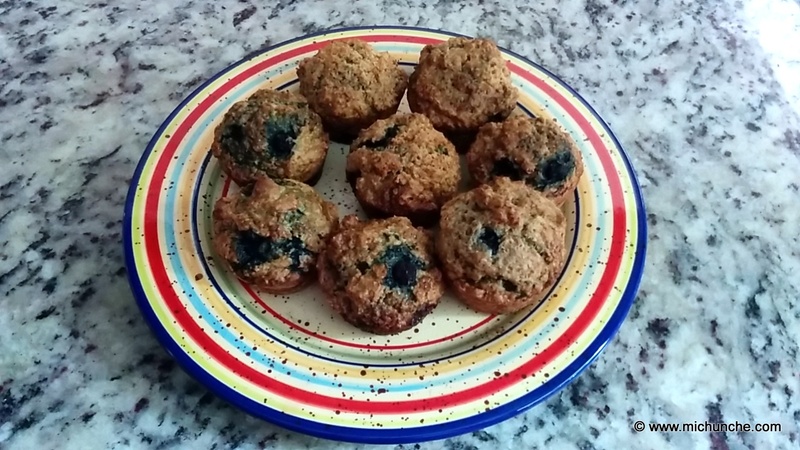 If you use a standard 12-cup muffin pan, you should get a yield of 12 muffins. Bake at 425 for about 20 minutes. The muffins are done when a toothpick comes out clean. Let the muffins rest for about 8-10 minutes to make it easier to remove them from the pan.